Skin cancer is the most common type of cancer, but it's also the easiest to cure if caught early on. The Skin Cancer Foundation says that each year in the United States, more than 3.3 million people are treated for nonmelanoma skin cancer, and this year 76,380 new melanoma cases are expected. Nonmelanoma skin cancer is the most common kind of skin cancer, and it forms in the top layers of the skin. Often, this cancer manifests as small areas that are small, raised, smooth or red or skin that is rough, red and scaly, according to the Dana Farber Cancer Institute. Dana Farber also explains that melanoma, which people often associate with skin cancer, is actually much more rare and deadly. 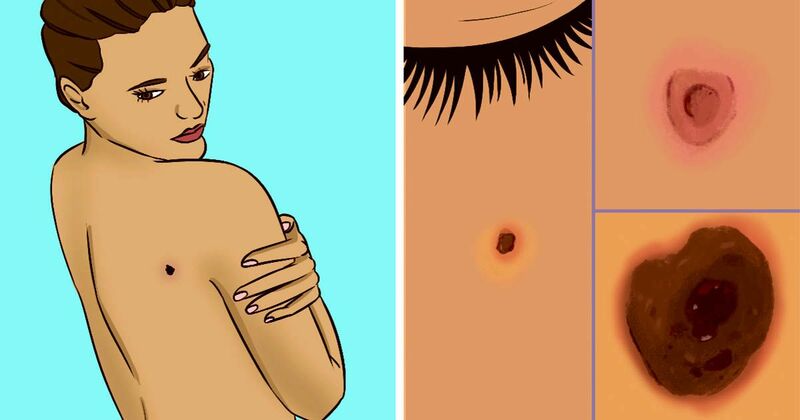 This type of skin cancer develops in the lower layers of the skin and can be spotted as changes in the appearance of moles or even a discolored area of the skin. It's very important to treat both types of skin cancer early on, so understanding the signs and symptoms as well as performing self-exams are the keys to good health. Asymmetry. Look for parts of a mole or birthmark that don't match on different sides. Border. Look for edges that are irregular, ragged, notched or blurry. Color. Check and see if the color is different across the surface; some colors include shades of brown or black, sometimes with patches of pink, red, white or even blue. Diameter. Check and see if the spot is larger than ¼ inch (6 mm) across, which is about the size of a pencil eraser. Evolving. Observe if the mole is changing over time, in size, shape or color. If you spot any of these signs, or even suspect you see a change or something strange on your skin, make an appointment with your doctor right away. Your doctor can better detect and even perform tests to determine if you have skin cancer. Treating skin cancer early on is imperative to your health. 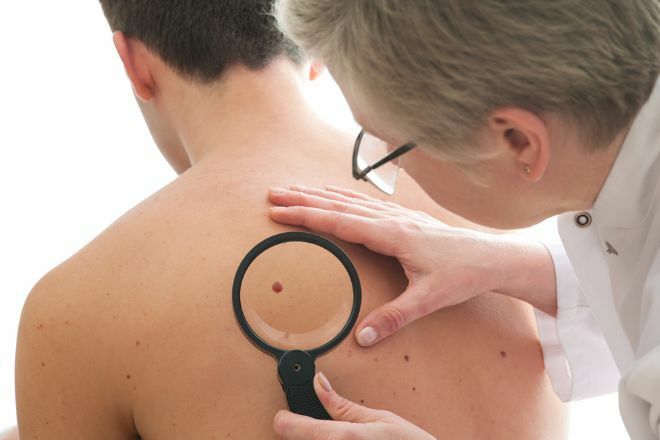 Self-exams are so important because they give you the best chance to detect skin cancer early. Some people see the doctor only once a year, but you deal with your body every day. Checking for ABCDE and other symptoms gives you the chance to spot skin cancer in its earliest stages and therefore treat it quickly and easily. It's also important to see your doctor at least once a year so you can provide updates on your moles, and your doctor can observe if your skin marks are changing. Wear sunscreen. You should wear SPF 15 or higher every day, and if you're outside a lot or swimming, you should wear a water-resistant and broad-spectrum UVA/UVB sunscreen with at least a 30 SPF or higher. You should also reapply every two hours. Stay out of the sun. Seek the shade between 10 a.m. and 4 p.m. when the sun is strongest and if you can't cover up and wear sunscreen. Don't burn. Wear sunscreen, stay out of the sun or just cover up. Avoid burning at all costs, because more than five sunburns doubles a person's risk for developing melanoma.